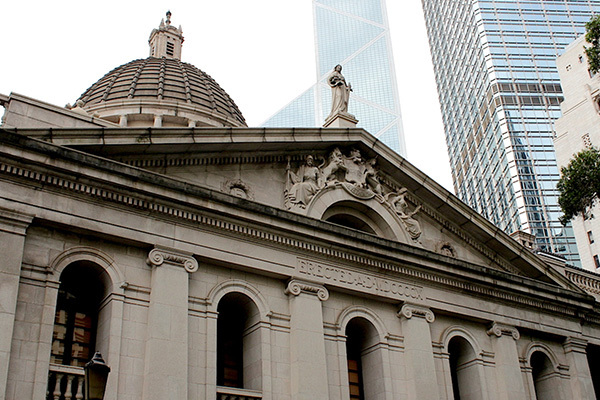 "This decision confirms Hong Kong’s position as an arbitration-friendly jurisdiction”. This ritual phrase seems to follow every law firm bulletin reporting on the latest judgment staying proceedings brought in breach of an arbitration agreement or granting indemnity costs following unsuccessful applications to set aside arbitral awards, and the like. The truth of the statement is undoubted, but it is questionable whether it adds much to the debate about the merits of Hong Kong as a seat, or as a forum in which to enforce awards, relative to, say, Singapore. Hong Kong is arbitration-friendly because it has excellent hardware and software: legislation based on the UNCITRAL Model Law, decades of jurisprudence, and good lawyers and judges. A more precise statement, therefore, would be that Hong Kong is a “rule of law-friendly” jurisdiction, because our judges uphold their oaths and do their job in accordance with what the law requires. 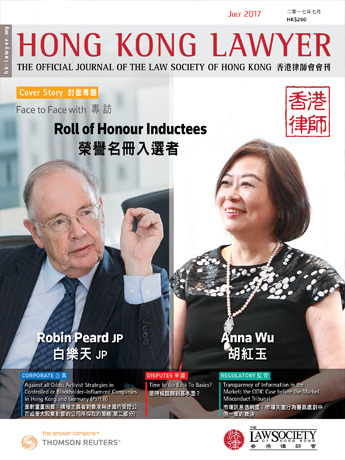 Talking about the merits of Hong Kong as a dispute resolution centre, it is interesting to observe the extent to which the litigation departments of many international law firms in Hong Kong are shifting from doing actual litigation to other types of dispute-like work, such as FCPA and other investigations, financial regulatory work, and of course arbitration. In fact, it is probably fair to say that the days of plentiful general commercial knockabout litigation in Hong Kong are largely over. The reality these days is that there are fewer and fewer international law firm solicitors issuing writs, fronting up before the Master on security for costs and Order14 applications, and generally rolling up their sleeves in the High Court. 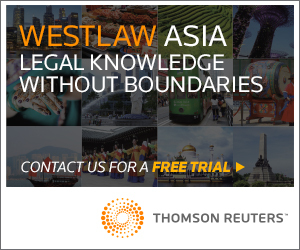 It is also becoming less common these days to see an exclusive jurisdiction clause in a commercial contract identifying the Hong Kong High Court as the forum. If you doubt this, do a Writ search and see how many banks, listed companies and MNCs are suing and being sued in Hong Kong these days. 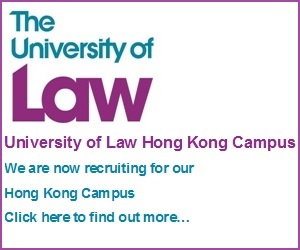 Whilst true that the courts are busy, and there are plenty of judgments, it is not the large business institutions who are litigating in Hong Kong except in cases where there is nowhere else to go, for instance insolvency matters, shareholders’ disputes, fraud cases, etc. So, where are the commercial cases going? That is obviously a difficult question, but the likelihood is that, in cases where there is a choice, parties are choosing courts in other jurisdictions, perhaps even Singapore’s much-hyped International Commercial Court. In addition of course, there is arbitration. A shift towards arbitration is completely understandable. It has a number of features which are attractive to commercial parties, especially with respect to cross-border transactions, not the least of which is the ease of enforcement under the New York Convention. However there is an aspect of the rise of arbitration, and the general decline in commercial litigation in Hong Kong, that is a slight concern, namely that some of the advantages of litigation over arbitration are occasionally neglected. Imagine, for a moment, a transaction which has no cross-border elements, where there are no concerns about enforcement outside Hong Kong, and neither party is worried about home-turf advantage. In those circumstances, not only may there be no compelling reason to choose arbitration, there might in fact be good reasons not to choose it. Two of these reasons are worth particular attention. The first of these is the right to appeal. The Hong Kong International Arbitration Centre’s excellent website says this: “The main advantages of arbitration can be summarized as follows: … Final and Binding Arbitration awards are usually final and not subject to review on the merits, meaning prolonged court appeal procedures can generally be avoided”. In other words, arbitration is a good thing because there is no entitlement to appeal against an award. This has always been one of the so-called advantages of arbitration over litigation that leaves many people baffled. There is, generally-speaking, no entitlement to appeal against an arbitral award. True, an application can be made to set aside an award in some circumstances on grounds of procedural unfairness etc., but there is no appeal on the merits (except on a point of law if you have opted in to the relevant provisions in the Arbitration Ordinance). It is quite difficult to understand why parties would agree to this, except as a trade-off against ease of enforcement and some of the other undisputed advantages of arbitration which may be relevant in a particular case. Ask any lawyer who has ever represented a losing party. How likely is it that the client’s first comment will be “I am so glad this decision is final and not subject to review on the merits, meaning I can avoid prolonged court appeal procedures."? Much more likely, in fact 99 times out of 100, the client’s first question will instead be “Can we appeal against this?”. Perhaps the suggestion is that arbitrators are virtually infallible, such that whilst the law contemplates that whilst they might get the procedure wrong or exceed their jurisdiction, the prospect of them misunderstanding the facts or misapplying the law is negligible. That is quite obviously not the case. As much as many arbitrators are well-educated, experienced and smart, they still make mistakes. Even the full-time arbitrators, just like judges, sometimes get it wrong, whether it is on the law or on the facts. Arbitrators, like judges, are human. And this is why, in the court system, we are fortunate to have a Court of Appeal and a Court of Final Appeal. In a sense, the clue is in the question. If parties are absolutely set on arbitration, but either or both of them is not entirely confident that the tribunal will get it right, they can maximise their prospects of an objectively-good outcome by opting into the appeal system. But the reality is that few arbitration clauses are customised in this way, and most contracts contain boilerplate arbitration language, such that the losing party only finds out that it has lost any serious prospect of recourse against the award when it is too late. The second advantage is the summary judgment procedure. As any experienced litigator will tell you, Order 14 of the Rules of the High Court entitles a Plaintiff to apply for summary judgment on the basis that there is no defence to the claim. There are some minor procedural hoops to get through (ie, Notice of Intention to Defend must have been filed, a Statement of Claim must have been served, and a Summons supported by an Affidavit must have been issued). In addition, the procedure is not available where the claim is based on an allegation of fraud or certain torts. But essentially, Order 14 provides a fast track mechanism to judgment which is especially useful in cases where the Plaintiff’s claim is for a debt. (A similar, but not identical, procedure is available under Order 86, enabling the Plaintiff to obtain summary judgment for specific performance of a contract). These procedures are not available in arbitration, and this ability to issue a summary judgment application immediately after the Defendant has indicated that it will contest the action is a major advantage. It enables the Plaintiff to demonstrate quickly and cheaply that it means business, and the result is that cases are often settled swiftly. Moreover, even if the Defendant contests the application, and the court is not satisfied that a judgment should immediately be entered, the court may be sufficiently suspicious about the nature and strength of the defence that leave to defend is only granted on a conditional basis, such that security has to be provided for the claim. This ability, in some cases, to force a Defendant to provide security is another important advantage to the Plaintiff. It is also a major disincentive to the Defendant who may prefer to settle rather than tying up its capital as the case proceeds to trial. 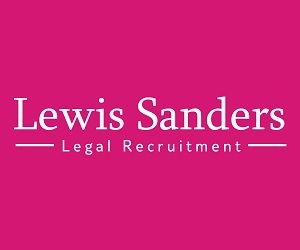 It is of course recognised that the parties may agree, or the tribunal might be persuaded, to adopt a short form, expedited, procedure which could result in an award relatively quickly. In some circumstances, moreover, a tribunal might be persuaded to grant an interim or partial award. In addition, it is appreciated that the courts are busy, the cause lists get full, and that there can be delays getting hearing dates. However, that is not an issue that only afflicts the judiciary: many international arbitrators are extremely busy and difficult to get hold of, and when you have tribunals of three, the problem is tripled. In any case, even where the Defendant does file affidavit evidence in opposition to an Order 14 Summons, and argues the application, the delays are likely to be measured in months rather than years. The point overall is that whilst Hong Kong certainly is an arbitration-friendly jurisdiction, practitioners should not forget that arbitration is not the universal panacea. The arbitration community is constantly, and correctly, reminding clients and those advising them to take care when drafting jurisdiction and dispute resolution provisions, and in particular to get the arbitration clause right. And very often recommending arbitration is absolutely the right thing to do. But sometimes it is also right to go back to basics. Appeals are useful for righting wrongs, and summary judgment can help Plaintiffs achieve their objectives relatively quickly.